“Necropsy results revealed no direct cause of death, but scientists think it was likely due to anesthesia-related stress,” NPS staff said. 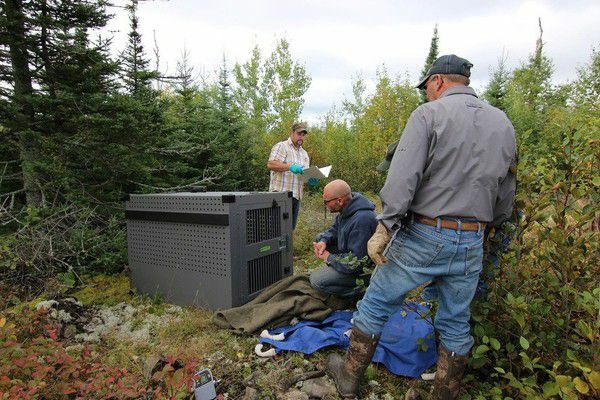 Participants in the wolf relocation project surround a crate used to transport a captured wolf to Isle Royale. 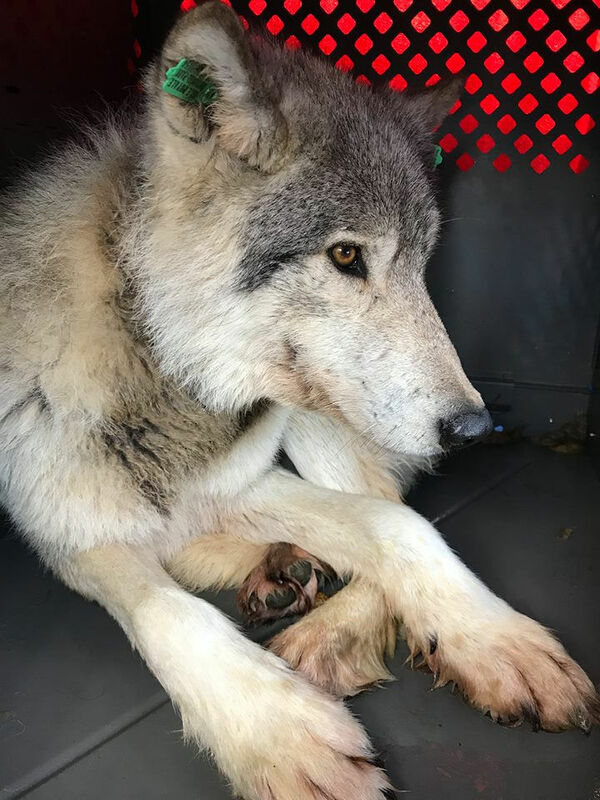 The post-mortem exam revealed the male wolf died of pneumonia, “… though how the wolf developed this condition is unknown,” park staff said. They said the wolf’s tracking collar – all the relocated wolves are fitted with GPS collars so scientists can track their movements – started showing a mortality signal even though staff could see him moving around on the game cameras. Then, GPS showed his movements became limited. Six wolves facing starvation on Canada’s Michiopictan Island, and one from the Ontario mainland, were relocated.